Keep track of your Whisky collection! 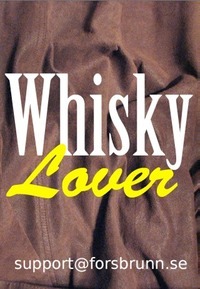 WhiskyLover helps you keep track of Whiskies you have tasted or want to taste. Here's all you need to keep track of your whiskies, regardless if it's a Scotch single malt, an Irish pure pot still or an American straight bourbon. 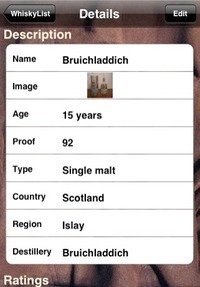 To your help, most of the worlds known destilleries are in the destillerylist when adding a new whiskynote, just choose the correct country and, (if applicable), the correct region. There's also a favoritelist and a shoppinglist, where you can add what you need to buy and what you want to taste again. The possibility to save a photo of the whiskybottle together with the whisky note. A list for the owned whiskies you have.